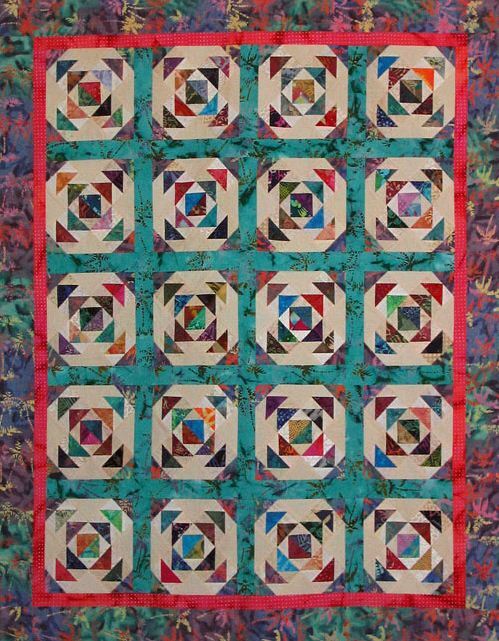 "This project is a great way to make use of the waste triangles created while making certain quilts in the book Nickel Quilts or from other projects. The design is fat quarter friendly and finishes to 40.5" x 49". 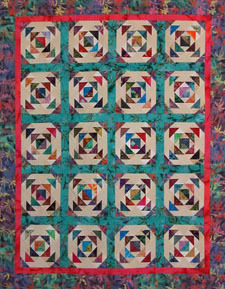 The one you see was made using waste triangles from the Ozark Maple Leaf quilt in Nickel Quilts." If you don't yet have any of the books in Pat's Nickel Quilts series, they are excellent and provide wonderful projects for 5-inch scrap squares! Visit her website, PatSpeth.com, for more information and also for many more free patterns and tutorials!